From Cannock to Walsall: What Do You Call Yourself? Graveyards, Headstones and Now Lie I Like a King? Ernest Rushton of Hednesford: Crying Wolf? Wallace Thomas Lawson and When is a Soldier a Soldier? Great Wyrley’s Fallen: Walter Collins and His Five Weeks in France. Harry Withnall: Can I Please Have My Name Back? Herbert Higgs AB: Jutland, the Somme of the Sea. The Great Wyrley Hospital Fund: Our First Carnival? The Things I have Seen: The Life of Frank Emberton D.C.M. The Wyrley-Cannock Colliery Incident: Gun Crime, 1870. The Norton Canes Endowed School on School Lane, Little Wyrley. Ralph, Ralph Who? Letters from the Western Front to Darlaston, 1915. ‘RUN’: The Ryecroft Plane Crash, 1917. A State of Mind: George Loake and the Butts Murder (Walsall), 1911. Suffering in Silence: Harriet’s Story, 1913. The Boundaries of Pelsall, 1634. Walsall 1943: the Mayor, a Baron and the Merchant Navy. Due to a high number of ‘incidents’ occurring since the Cannock Chase camps were opened over a year before, in August 1916 a question was raised in the House of Commons regarding possible bullying at the two sites; this question, as so often with politics, would ultimately be brushed under that carpet – as I suspect that nobody really wanted to know the truth, whatever it was. This series of articles seeks to examine some of these ‘incidents’ – well, those reported in the local press – and ask whether the soldiers involved felt compelled to take extreme action because of such bullying, a simple want to get out of the military, or whether it was the consequence of a lack of understanding for soldiers suffering with stress, anxiety or depression. The first article in the series was all about context: I look at the reasons behind the project and I briefly examine how well the concepts of melancholia, stress and anxiety were understood back in World War One (see https://wyrleyblog.wordpress.com/cannock/driven-to-dispair-the-dark-side-of-the-cannock-chase-camps-part-1/ ). The second part reaffirms some of this – before taking in a little on the history of the camps and the first two of the soldier’s own stories: Privates Davill and Greenwood (see https://wyrleyblog.wordpress.com/cannock/october-1915-january-1916-the-dark-side-of-the-cannock-chase-camps-part-2/ ). The third part looks at three bizarre, alcohol-fuelled incidents that date to February and March 1916 (see https://wyrleyblog.wordpress.com/2017/09/27/february-march-1916-the-dark-side-of-the-cannock-chase-camps-part-3/ ). This, part four, takes in two desperately sad cases that date between February and July 1916; these stories are of Private Walton (who lies at Rugeley) and Private William Usher Parnaby (who is linked with Cheslyn Hay), two soldiers that were broken by the circumstances of a world they were caught-up in, powerless to do anything about, and a military machine that was incapable and unable to offer much in the way of sympathy or help. These men mean a lot to me: after I launched the earlier parts of this article I wrote another article explaining more about why I undertook this project – as I myself have suffered with stress and anxiety (see https://wyrleyblog.wordpress.com/2018/02/10/brothers-in-arms-personal-musings-for-world-cancer-day/ ). Albert Walton was a Yorkshire man, born to parents Joseph and Alice in Sheffield, in 1895. Albert’s father, Joseph, was from a Sheffield family himself; he was born around 1855 and grew-up a farm labourer’s son, until he, like his older brother, went into the mines. Alice was the daughter of Samuel Davis, an itinerant coal miner who himself was from Belper. Samuel had taken his family into Yorkshire, Lancashire and then Clay Cross in Derbyshire, where Alice was born around 1857, before moving on to Durham. By 1871 Alice’s family were living in Sheffield, where I assume she met Joseph. On 25 January 1880 Joseph married Alice Elizabeth Davis, although for some reason the couple tied the knot at Eckington parish church, just over into Derbyshire. In 1881 the couple, he 26 years and she 24 years, settled into the Woodhouse area of Sheffield. Alice had lost her mother by this stage and her family home had splintered, indeed, her widowed father is living next door to them. The family started to grow. In 1882, James, the first of the children was born within the Woodhouse area. 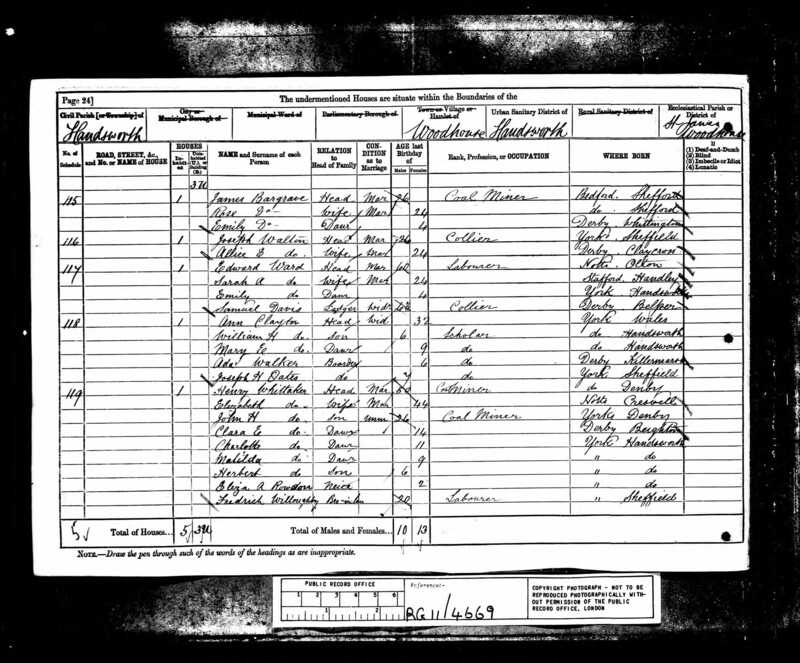 As a miner, and like many of his generation, Joseph may well have been on the move for within a few years the next of the children, Sarah Jane, is born several miles away in Hackenthorpe (now a part of Sheffield). By 1891 the family are in Manor Laith Road in the Park Hill area of the city. Joseph is still a coal miner and the two eldest are at school. Over the past year the family has doubled in size, with the year-old Frances and the 10-day old Lily being born; sadly, Lily would be one of four children the couple would lose in childhood – and the only one I can put a name to. Albert comes along in mid-1895, and around the same time I suspect his grandfather, George Walton, died; Elizabeth Alice was born at the tail end of 1898, and she would be the last of the surviving children. By 1901 the family can be found in Chancel Street in the Park area of Sheffield; this was opposite St. John’s Church although the road was lost under a revamping of the area in the 1950s. 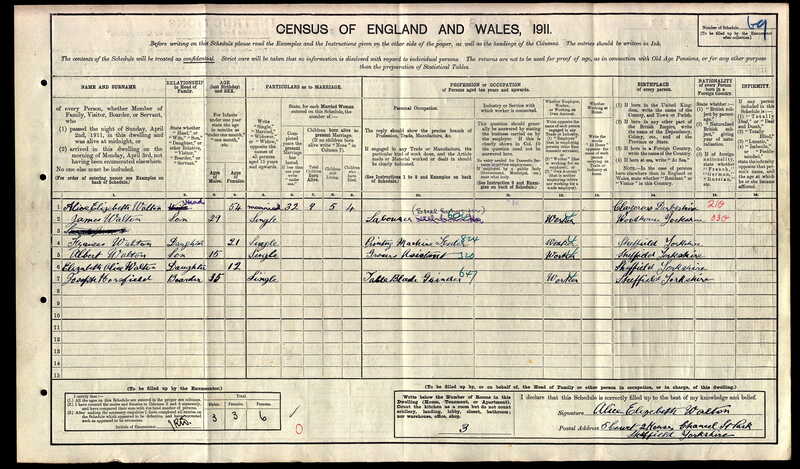 The census shows that Joseph was now a labourer in what was likely the Corporation gas works. James, the eldest, was now around 18-years and was working as a labourer in a stone quarry. Neither Alice nor the other four children are given any profession or status (eg scholar, although Frances and Albert would have been at school at this stage – very possibly St John’s School, which lay close by). We are clearly looking at a family with not much in the way of disposable income. Over the next decade you would have expected the family to break up as the children start to fly the nest and Sarah does leave home, however, even with the loss of their father in 1904, the rest of the siblings remain at family residence. By 1911 the family have moved to a court house in Chancel Street. James, the eldest, is now a labourer in a steel mill, while Frances works as a printing machine feeder. Albert, at 15-years, has left school and is working as a grocer’s assistant. The family have taken in a lodger, Alice’s brother, to help pay the bills. 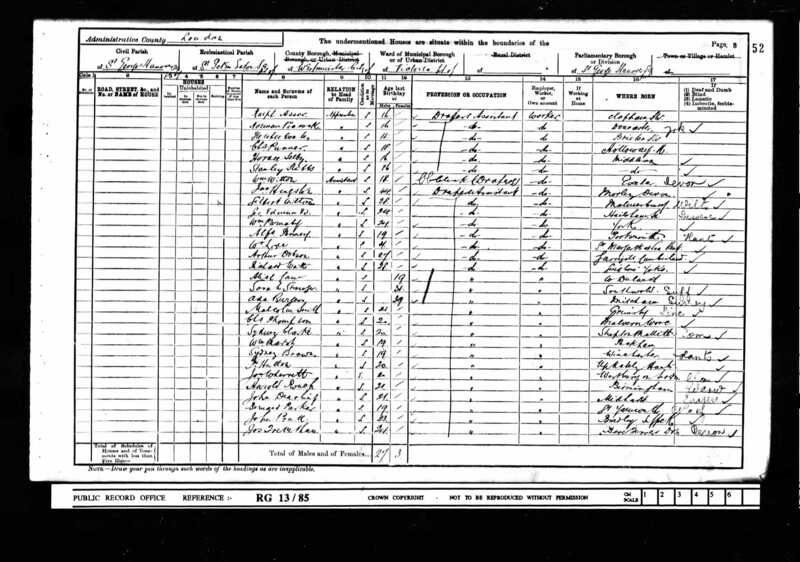 I don’t think Albert knew any of his grandparents on his mother’s side, but I suspect he lost his grandmother, Ann Walton, in 1912. The War came, but Albert did not attest in the wave of patriotism which greeted the opening of the conflict in August 1914. Instead, he and his family moved to 10 Derwent Street, which was still in the Park region of Sheffield. Albert would change his job to become a draper’s porter, however, he would remain unmarried. The position of recruitment in late 1915 was very different from that a year before. The blood had flowed too freely on the battlefields and the supply of fresh troops started to dwindle as reports of the ammunition crisis and failed campaigns like Loos and Gallipoli could not be hidden. As such, the government started to look into the idea of conscription to fill the ranks by force and had undertaken a national registration scheme that year to identify the latent strength available to the war machine. 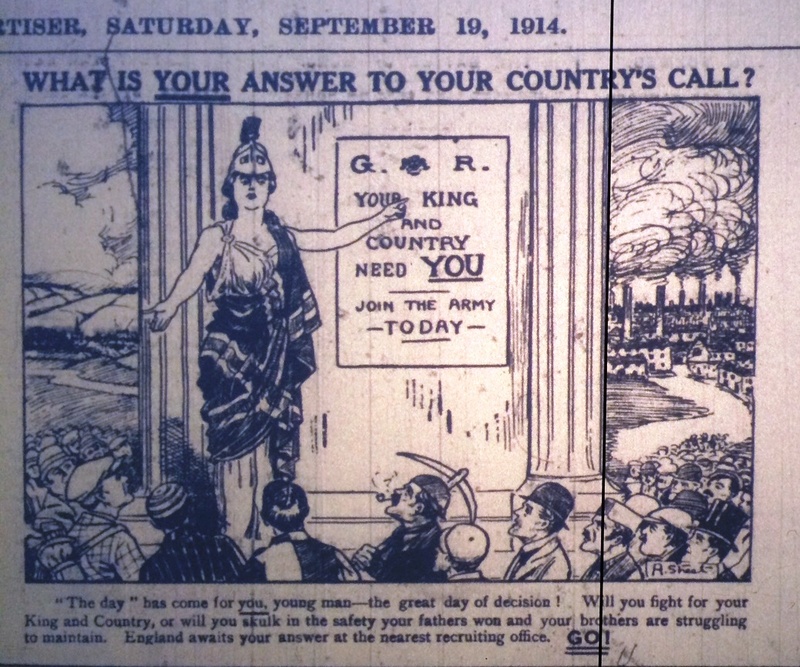 In October, Lord Derby had been place in charge of the recruitment campaign. Within a few days he had a sort of part-way scheme between conscription and a volunteer system: it allowed men to attest straight away (which was the current system), but also allowed men to defer their service until called-up by the army. What this meant is that they went home, sporting an arm-band to stop the snide ‘shirker’ comments, until their ‘group’ was called-up. Special meetings were arranged in order to sell the scheme to the public. Each man was placed into one of 46 groups upon attesting. His group would depend upon his age and marital status. These groups would then be called-up in turn, from group 1 to 46. Single men were called-up first, thus the scheme was more attractive to married men, and in age order. Group 1 was formed by single men born in 1897, Group 2 were those born in 1896, and so it went on until group 23, which was those born in 1875. Group 24 was the first of the married men, again those born in 1897. Whether it was a genuine desire to serve, the inevitability of the situation that conscription was coming, that Walton had received a white feather, a snub in the street, or some other form of moral bullying or blackmail, or that he was simply enticed (duped even?) by one of the the recruitment meetings that took place to sell the scheme, we will not know, but Albert obviously was seduced enough to sign-up on 9 December 1915, 6 days before people believed that voluntary attestation would finish on 15 December. If we did know, it could have be very significant in understanding Albert’s later actions. The 5′ 6″ Albert, complete with a scar on the left cheek, would have been placed into group 3 as he was born in 1895. He was immediately transferred into the army reserve and sent home. I am not sure how long Albert thought he would be left alone for, but I feel he may have been expecting a little longer than he actually got. After his last Christmas at home, his and several other group were mobilised on 20 January 1916; he himself was called-up on 26 January, reporting to Pontefract where he was formally attested. The speed of what happens next is pretty astounding: on 27 January he was posted to the 11th Battalion Yorkshire & Lancashire Regiment (known as the Yorks & Lancs) and was sent to the Rugeley Camp to join his unit – which was a Reserve Battalion – for his basic training. He must have arrived there either on the 27 or 28 January. His brother saw him on the day he departed and said he was in good spirits. On 29 January, Richard Butler, the Company Sergeant-Major, saw Walton, who made no complaint to him about the conditions or treatment he was getting. It seems, in fact, nobody received any complaint from him – or at least nobody reported that he had made a complaint. 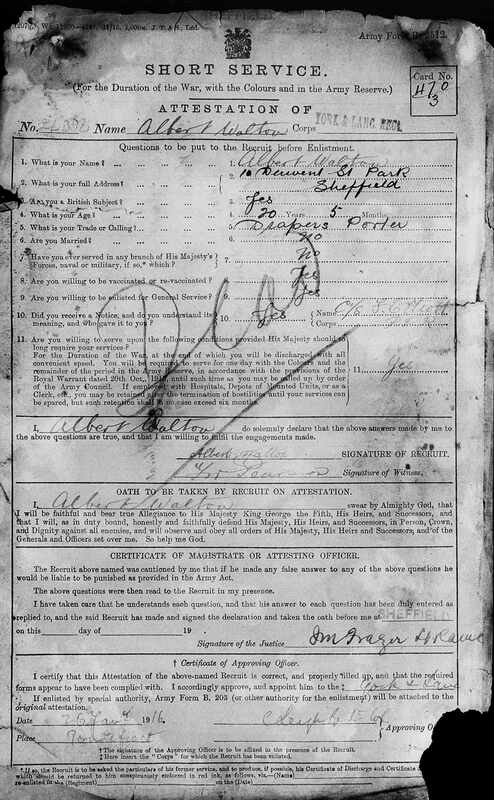 Albert Walton absented himself the following day; on 1 February he was posted in the Police Gazette as a deserter and his family would have been informed. Absconders were usually found quite quickly, as often they were just discovered at home. After an appearance before a magistrate they were returned to their unit where they got another round of discipline, all of which was irritating to the military and civil authorities as well as embarrassing for the families of those concerned. I can’t imagine how the Walton family felt as day turned into week, week into fortnight, and fortnight into a month with no news or sighting. Their fears would be realised on 28 February, when Albert Walton’s body was discovered in the Trent & Mersey Canal at Rugeley by boatman Francis Clarke. Although it isn’t stated, I assume he had been in the water sometime – presumably from the date of his absconding. He was formally identified, his family and the military were informed, indeed, they would be summoned as an inquest was held just a few days later at the Heron Court School in Rugeley; District Coroner, Mr. S. Morgan, presided. The inquest was not covered by the press in too much detail and the original papers do not survive, however, the one conclusive piece of evidence was reported in the press of course, and that was despite being in the water for days a note was found on the body that confirmed that Albert had gone into the water deliberately. Albert’s brother, which must have been James, was called to testify and all he could say was that Albert was in good spirits as he left and that ‘he knew no reason why he should take his own life’. The military offered nothing at all as to a reason for his death. It was left to Albert to explain as best as he could. His note makes painful reading: his thoughts are completely for home – he apologises to his family for his actions and the pain it will bring, bemoaning that he ‘had one of the best homes, and if it had not of been for Lord Derby I would be there still’. He simply states that he will be ‘better in heaven, as I am sick of this life’. The statement that he was sick of this life, to the point of self destruction, is incredibly powerful when you think that he was only in the army for a couple of days. Whether the wrench from home was too much, which is suggested by the note in my opinion, or he was acutely bullied in such a short time to the point where he actually wanted to commit suicide we will never know. Irrespective, my heart goes out to him and his family. A few days later Albert was laid to rest, eventually receiving a Commonwealth War Grave, at Rugeley Cemetery. We have no evidence as to whether he received military honours. Over the next few months Alice would receive a little from the military as compensation for the loss of her son. Albert’s grave at Rugeley, with CWGC headstone. I left him a poppy badge when I visited. 2017. Sadly, the family home that Albert so venerated would break-up the following year after I believe Alice, Albert’s mother, died. I cannot really trace any of his siblings with certainty after then. Albert would of course not receive any war medals, and was also turned down for a memorial plaque and scroll in 1919. Plaques were for the immediate next-of-kin of all who died serving with the armed forces, including those not eligible for service medals (like those who did not serve overseas but who died in service through accident or illness), however, Albert’s death was not seen as war-related – which is impossible if he has a CWGC headstone. And so the case of Albert Walton comes to an end. While I cannot say for sure, from Albert’s own letter I get the feeling he may have been seduced into signing-up and was suddenly faced with the full bull of military life (including the usual threats, bullying and intimidation). The sudden feeling of being trapped, unable to vent his thoughts to a sympathetic ear, may have left him so stressed that he only saw one fateful option. 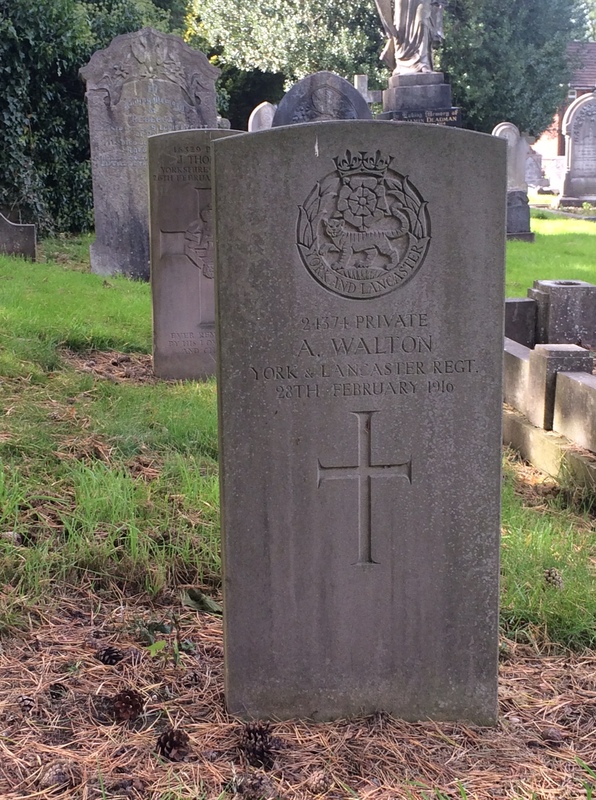 Albert Walton was as much a victim of war as if died at Ypres or the Somme. William Usher Parnaby seems to be a completely different type of person to Albert Walton: Walton was young, from a large family, unmarried and a stay-at-home lad; Parnaby was a lone-child, mature when he enlisted, married, had a family and was travelled. Despite these different backgrounds the sad result would be the same – for Parnaby also joined the army under the Derby scheme and also ended up taking his own life. William Usher was born to parents William and Mary in York, in 1878. William, from Crakehall, was born around 1846 and was the son of an agricultural labourer; he would become one himself by the age of 14-years. 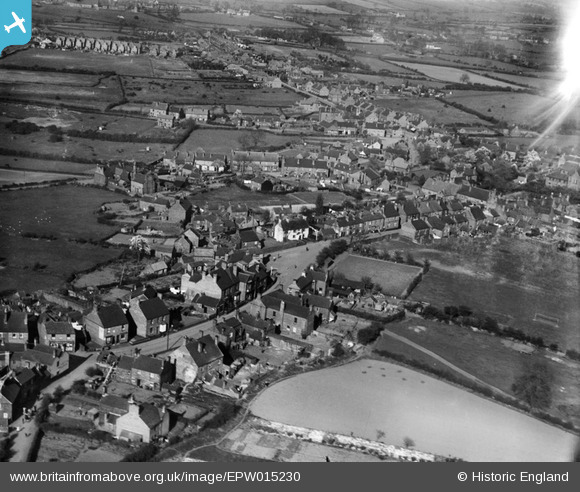 By 1871 William is stopping with relatives in Haswell, Durham, where he has become a gardener. William would eventually meet Mary Bell and the couple married in Wark, Northumberland, on 25 January 1874. Mary was a little older and from Wark. Her father was George Bell and her mother was Margaret Usher, hence William’s middle name. She lost her father, who was an agricultural labourer, at a young age and Margaret raised the large family on her own. Mary went to school in Wark. Although her whereabouts after 1861 are difficult to trace, I believe that if she did leave Wark then she was back in 1870, as it is seems she had a daughter, Emma, who was christened there on 5 June that year. It is possible that William, and later William Usher, may never have known of Emma, although I think that is unlikely. Whatever the reason, she stayed in Northumberland when the couple moved to Yorkshire; I must stress that Emma living with her wider family was nothing unusual at the time and does not mean she was ‘abandoned’ or was not loved. 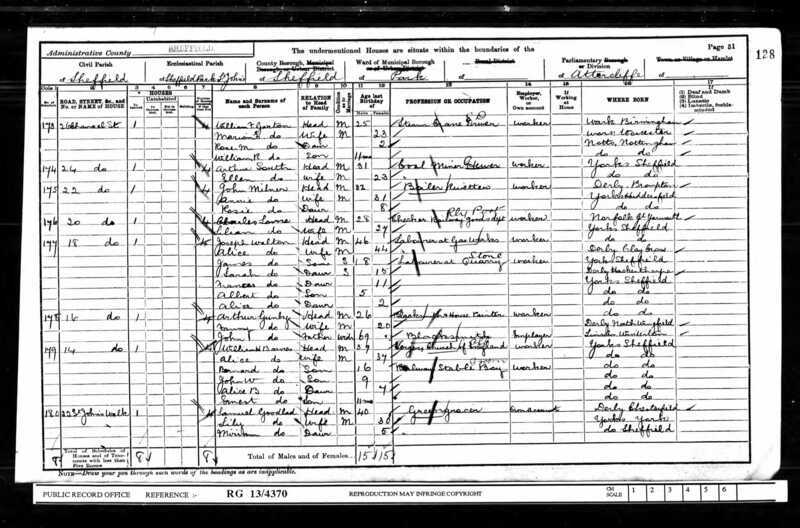 I mention this not to pry but to understand William Usher a little more, as his only other sibling passed away as a child according to the 1911 census and so he grew-up without any company. In an age where many families were large, this may have affected him. Emma remained in the far north, living with George Bell (Mary’s brother) for many years and helping at his farm; she married a William Wakefield Dunn in 1892, they had Luke the following year who was to be their only surviving child. I believe she passed away in 1917, the year after her brother. William Usher was born in York, so the couple had relocated their before 1878. I suggest the reason was work, for when William was baptised at St Thomas’ on 1 May 1878 the family are living in the lodge of the York Lunatic Asylum, which was found in the Bootham area of the city, on Union Street. William Parnaby had become the gardener for the institution, which, as the maps show, had significant land around the core buildings. William Parnaby remained the Asylum’s gardener until at least 1911, and likely until is death which I believe was in 1918. Without sibling company – as I believe his brother Robert died within a few months of his birth in 1880 – William Usher grew-up in the shadow of a Georgian institution that looked after those with mental illness – some of whom he must have encountered through his father’s work and the location of the lodge inside the grounds. All of this may become significant in his story. 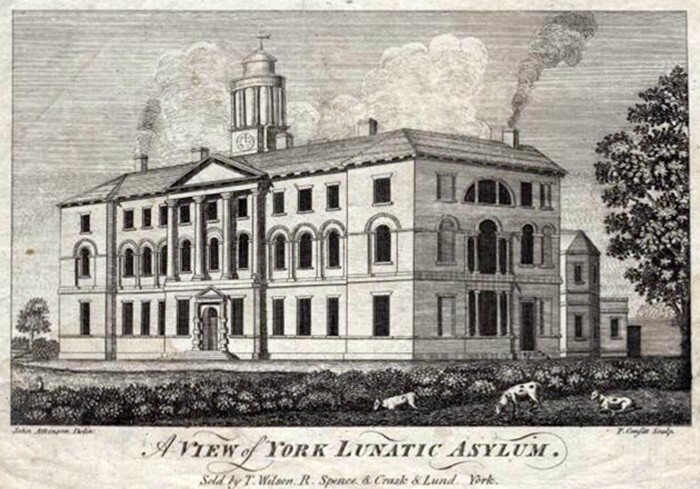 By 1891 William Parnaby is being described as the Head-Gardener at the York Asylum. William Usher, now 13-years of age, is a scholar – possibly at the Friends’ School for Boys which was the located at the other end of the Asylum grounds. Evidence supplied by William Parnaby at his son’s inquest place two significant events somewhere prior to 1901, for I know he was in the drapery trade at this point and William said that these things occurred before he entered drapery. William gave the impression that the three things followed on from each other, so I would like to deal with the second event first as it likely happened over the couple of years prior to 1901. All we know is that William Usher ran a ‘commercial hotel, but that proved a failure’. We have no idea how long he ran it, the name of it or where it was, but he was only in his early 20s around this time – quite a responsibility – especially if he had no real expertise in it, and I suspect he didn’t which is why it failed. The most important piece of evidence was that prior to his hotel venture he had been committed to the asylum for a period of 12 months. I assume this was the very asylum that his father was gardener for. Now, until I can try an access the records at the Borthwick Institute for the Asylum, I wont be able to understand what he was being treated for, but I suspect it was melancholia. And so we reach 1901 and the drapery trade. Whatever the reason – stigma after his asylum visit, the location of the hotel, or it was simply the first place that offered him a position – William Usher Parnaby can be found in London that year. He is working as a draper’s assistant in what seems to be a drapery factory on Buckingham Palace Road in Westminster. It isn’t clear who owns the premises. Parnaby may well have moved jobs, got promotion or set up on his own by 1911, as on the census that year he is found in Dublin. He is staying in ‘house 6, College Green (South City, Dublin)’, which appears to be a large guest house. Parnaby is described as being a ‘Commercial Traveller’, and most of those listed at the house are of the same ilk. We learn that he was Church of England as well. As his father mentioned no other profession prior to his military life, one assumes the commercial venture was drapery. We know that he is still in London in 1912, as he marries Hannah Peacock in Westminster in the early part of that year. Hannah was from Yorkshire herself, she was the daughter of a farmer living in Faceby and born in 1882. I suspect she moves to London sometime after 1901 and eventually also ends up in the drapery trade – which is how I assume she met William Usher. In 1911 she was working as a drapery assistant at Dickens and Jones in Regent Street, where she also lodged. The following year, while still in London, their first daughter, Mary, was born. William didn’t sign-up when the War arrived in 1914, although the pressure to do so, initially out of ‘patriotism’, was immense. As the casualties mounted from Mons, Le Cateau and the Marne, and the regular as well as the territorials were being used-up, the initial rush of volunteers began to slow. Pressure from the media, notable national and local individuals and even at social functions (sports events and theatre nights for example) intensified, with women encouraged to ’emasculate’ men who were perceived to be slackers or shirking their responsibility. Like Walton, William Usher held out until the Derby scheme reared its head. I suspect that he is back living, with his family, in York by the time he enters the army as he goes into the West Yorkshire Regiment. He is certainly living in Canon Street, York, six months later. 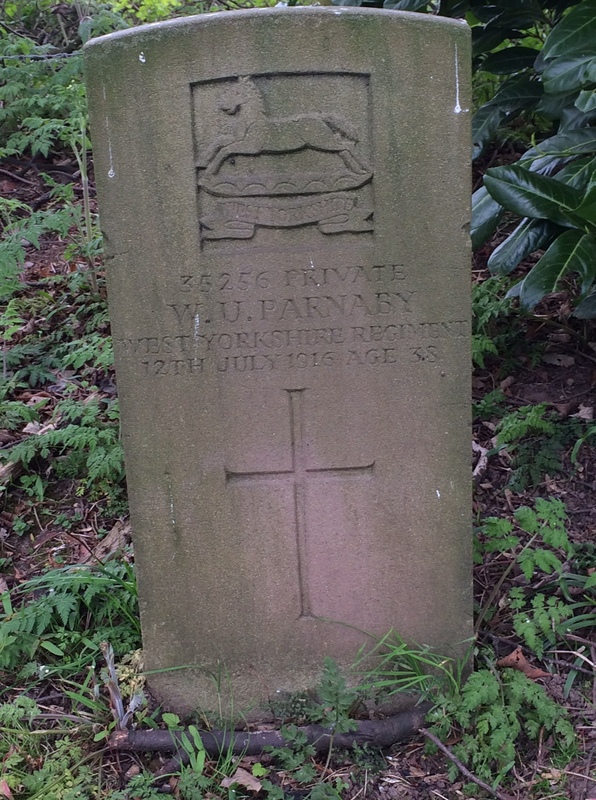 I talked about the scheme in Albert Walton’s story, all we know is that Parnaby signed-up on 10 December 1915, the day after Walton. I assume, as a question for it isn’t on the attestation form, that his previous mental health history was not discussed. Parnaby took his arm-band and went home. His age and marital status saw him placed into group 43, which meant that his call-up would be one of the last. I believe the proclamation went out in mid-May and mobilisation started in mid-June. Parnaby’s father said he presented himself on 22 June, but had become very depressed since he had received notification. Of private rank, he was posted to the 14th Reserve Battalion of the Prince of Wales’ Own (West Yorkshire Regiment) for training and sent to Brocton Camp. Captain Croxford, Parnaby’s company commander, said that when Parnaby arrived he was ‘very depressed, and did not seem able to pick up his drill’. Croxford would have no way of knowing that William Usher had spent time in an institution, nor would Sergeant Cundall who was in charge of the hut where William bunked; Cundall had noted how ‘Parnaby did not seem to understand anything. He would go for a walk across the common and lose his way’. 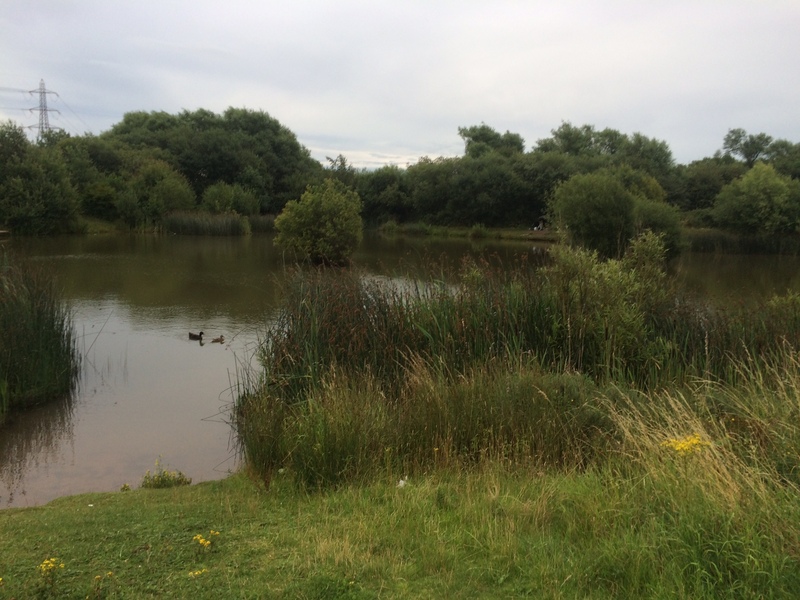 The Hatherton Reservoir, much altered, today. Here Parnaby said goodnight. 2017. Clearly he should have been under observation, and he was; he was in fact placed in the guardhouse as a result of his actions, but this was as a punishment not as a concern. It isn’t clear if he was in the guardhouse on 7 July, if he was he wasn’t well watched as he absented himself. How much he knew about it in his condition, William Usher just headed down the now A34 through Cannock and Bridgtown. Somehow he found himself on Coppice Lane in Cheslyn Hay, near the Hatherton Reservoir, the feeder for the Staffordshire & Worcestershire Canal that runs nearby. Here he drowned himself. His body was retrieved from the water by Constables Attwood and Neaverson on the afternoon of Sunday 23 July – clearly having been in the water for several days. William was conveyed to the Red Lion Inn, which was near the Collier’s Arms in Cheslyn Hay. On the Thursday the inquest was held and the evidence I have presented here was reported in the Cannock Advertiser. A verdict of Suicide whilst temporary insane was recorded. 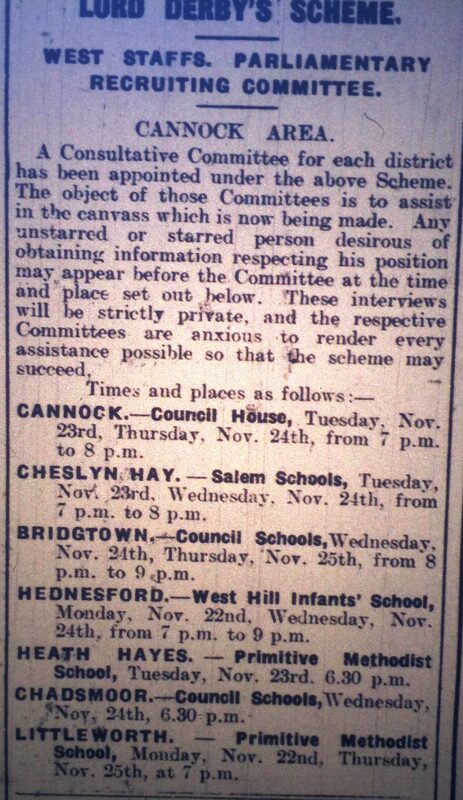 The verdict was obvious, but I was struck with the casual disregard that William’s time in the asylum was reported in the Cannock Advertiser – after all, surly this was significant evidence – and if the paper’s reporting is anything to go by, it seemingly was not pursued by the Corner. William Parnaby was seemingly not asked about the nature of William Usher’s illness and, further, none of the military witnesses were seemingly questioned about it either and so they seemed to escape any kind of censure. We don’t have a transcript of the inquest so it may have been different, but I suspect not. William Usher was not bullied as such, we know he was morose when called up and when arrived at the camp; he was, however, let down by a system that had no understanding of his problems and preferred to punish him rather than treat him for what was a clear case of melancholia. Full military honours was accorded the funeral, which was witnessed by upwards of 1,000 people. The West Yorkshire Regiment provided a contingent of soldiers, numbering nearly 50, including the Regimental Band, firing party, and bearers, under the command of Captain Croxford. The coffin, covered with the Union Jack, on top of which was the deceased’s belt, cap and bayonet, was conveyed on a gun carriage, and as the procession wended its way from the Red Lion Inn to the cemetery the band played the Dead March from Saul. For some part of the distance, the road was lined with scholars from the Cheslyn Hay Girls’ and Boys’ School. The service in church and at the graveside was conducted by the Rev Lomas (Cannock) and an impressive ceremony terminated with the sounding of the ‘Last Post’ by six trumpeters [and a volley over the grave]. The soldiers afterward returned to the Salem School, where tea was served, and Mrs Seedhouse provided the men with cigarettes an action much appreciated. William Usher Parnaby at peace in Cheslyn Hay. I left him a poppy badge. 2017. And so William Usher became a Cheslyn Hay man forever. If something could have been done sooner, he may have got through it. The sadist thing was that a few months later Edith, the couple’s second daughter, was born. His father passed away in 1918, I believe his mother a few years later. Hannah remarried, to a William Walker in 1920. The girls would grow-up in the York area and both marry. Two stories of two different men, but with the same outcome. In memory of Albert Walton, William Usher Parnaby, Emma Bell and Ethel Parnaby. Copyright Paul Ford unless otherwise indicated.